Sweden's musical alchemists OPETH will release their bewitching twelfth studio album, "Sorceress", on September 30 via the band's imprint label Moderbolaget Records with Nuclear Blast Entertainment. In celebration of the release, the band has planned special shows at historic venues around the world in support of the record, including Radio City Music Hall in New York on October 1, Wembley Arena in London on November 19 and the famed Sydney Opera House on February 6, 2017. These memorable performances also celebrate the recent release of OPETH's "Deliverance & Damnation" box set, featuring the band's classic 2002 and 2003 records as one complete work as originally intended, and their just released record "Lamentations - Live at Shepherd's Bush Empire" that's available now on DVD and 180 gram 3xLP from Music For Nations. 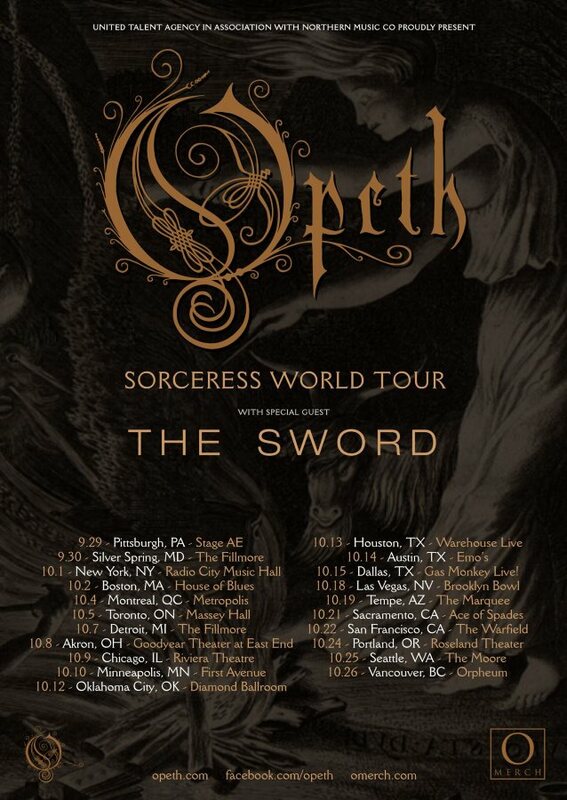 OPETH will perform music from "Sorceress", as well as fan favorite cuts from their celebrated catalog and will be closing the shows with a special set featuring material from "Deliverance & Damnation". 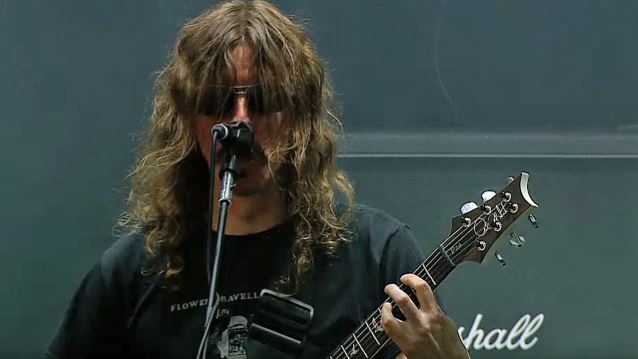 Says OPETH guitarist/vocalist Mikael Åkerfeldt: "We're getting pumped up for the coming 'Sorceress' world tour. "We have three shows scheduled that are quite 'out of the ordinary' due to their legendary status and location. The SSE Wembley Arena in London/UK. Radio City Music Hall in New York/USA, and the famous Sydney Opera House/Australia. These three shows will be completely unique in terms of songs, spanning over two separate set lists. We'll pull out songs from our back catalogue and mix it up with newer stuff during the first set. The second set will consist of songs exclusively from the 'Deliverance'/'Damnation' records, that was just celebrated with a re-release combo package by the newly revived Music For Nations label. So it's a little bit of a celebration indeed! We'll only play this setlist three times on the whole world tour, so if you miss it, you'll have missed it. Of course, all other shows will be treated with the same amount of respect and we'll chisel out a nice diverse setlist spanning over our entire career for every single show during the tours. We very much hope to see you there!"